Mental health is one of the fastest growing reasons for absence in the UK, having increased by a whopping 71.9% since 2011, which has cost the UK economy £18bn in lost productivity, according to analysis from Centre of Economic and Business Research 2017. However, the negative impact on the sufferer is hard to quantify in terms of cost or pounds. Mental health problems can eat away at happiness, and have life changing impacts on people. So what can we do at work to help? While many employers acknowledge that mental health is a key employee concern, few have a specific well-being strategy in place. Mental wellbeing used to be a topic that was actively avoided at work, with employees being worried about admitting that they had mental health issues. Whilst this is still true today, there are some high-profile campaigns which have given more focus to the prevalence of mental health issues, and encouraged people to discuss and share their experiences. For example, Prince Harry established ‘Talking Heads’ with the Duke and Duchess of Cambridge to highlight mental wellbeing and has in turn been very honest about his own struggles following the death of his mother. Other high-profile figures who have discussed their own mental health have included Stormzy, the Grime artist, and Stephen Fry, actor and comedian. While companies do not carry responsibility for the general health of their employees, they do have a “duty of care” for their employees. In simple terms, this means that a company should take steps to avoid putting their employees in a position where they could be made ill by their work. So, as the subject of mental health becomes more prevalent in the workplace, what can employers do if they think a member of the team may be struggling with their mental health? Here are some points for team managers to consider. There are two main types of mental ill health: a long-term ongoing mental health issue such as being bipolar or having clinical depression; and a probable short-term or temporary issue which is caused by life events or work such as anxiety, stress, or depression. Most people with ongoing mental health problems will meet the definition of disability in the Equality Act (2010) in England, Scotland and Wales and Disability Discrimination Act (1995, as amended) in Northern Ireland. This means the person must meet the criteria of having an impairment that has substantial, adverse, and long-term impact on their ability to carry out everyday tasks. A company has a legal responsibility to put “reasonable adjustments” in place to help the employee at work, if their condition constitutes a disability. However, even if it’s a short-term issue, putting adjustments in place can stop it turning into a longer term problem. Just like a physical disability would require changes such as special chairs or computer screens, people experiencing mental health problems may require reasonable adjustments. This could take the form of introducing some form of flexible working (i.e. working from home more frequently or avoiding rush hour travel), for example. Each person is unique, so talking to them about what they need. Obtaining a doctor’s report with proposals is the best place to start. Work can be a major stressor, when people start to feel overwhelmed or stressed by their work or by being at work. Everyone is different, and enjoyable pressure for one person can be hugely stressful for another. Most people need an element of pressure to enjoy work, but it’s when it turns into ‘stress’ that the issues start. 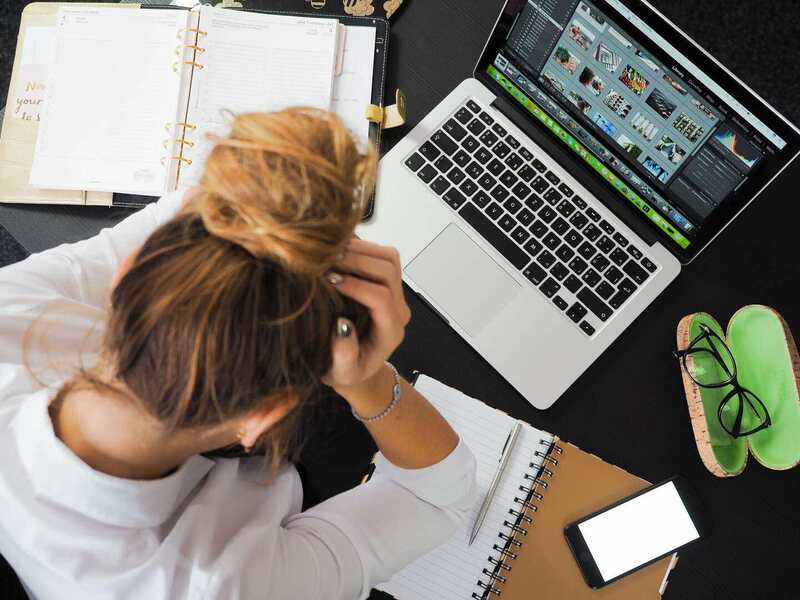 As a manager, therefore, it’s really important to understand if any of your team are feeling stressed or anxious, and ensuring that you act to remove the stress for your employees if it is caused by work. Regular 121s to discuss workload will help you understand if there are any issues developing. This is a key way to understanding if there are any underlying conditions so tracking absence and having regular back to work interviews is important. Long-term conditions may present with a range of short-term or intermittent absence and it can be hard to identify if someone really does have a lot of dodgy tummies, or if they actually suffer from severe anxiety. Therefore, if you feel like an employee does have a lot of intermittent absence, offering confidential support through a private GP practise or an occupational health provider can have a significant impact on someone’s health, and their productivity and motivation at work. Additionally, if people are working hard and become ill, physical burnout can be frequently accompanied by mental burnout; or the start of mental health problems. If someone is feeling ill, and is still working, because they either feel forced to for fear of losing their job, or fear of failing to achieve objectives, it will start to impact their mental health. These negative feelings of stress and anxiety drive more symptoms of physical ill health, and it can become a vicious circle where the person never fully recovers and feels well. Talking to your team member is the best way to get to the bottom of how they are feeling, through 121s, back to work interviews or even just casual ‘chats’ in a social space. Whilst one of your team might not feel comfortable discussing their mental health with you, no matter how sympathetic you are, they may with a GP or occupational health professional. Doctors can support physical and mental ill health, identify any connections, and support the employee’s recovery, as well as help identify if work is one of the main issues for the depression, stress or anxiety. A GP will also aid with suggesting ‘reasonable adjustments’ at work. The old adage ‘prevention is better than cure’ is often the case when managing mental illness at work, with employees more likely to remain in work if there are early interventions. On a personal level, there are also short-term issues which may affect the mental wellbeing of your employees: life events such as bereavements, divorces and family problems can cause significant emotional distress for people. We are all only human which means that there is an impact at work – people may be less focused, or show visible emptions, or even dress differently. There may be a few weeks or months where behaviour changes, or work drops off, and offering support to your team member during this time can have significant benefits for all parties in the long run. How can I identify if someone’s mental health is suffering? Has the person’s behaviour suddenly changed? Are they visibly upset at work (crying?) Are they suddenly angry, and shouting at colleagues? Are they withdrawn and quiet? Do they look different? Have they stopped washing / taking care of themselves? Has intermittent absence increased? Stress can have physical symptoms such as regular colds, or upset tummies. Has their conversation changed? Are they repeatedly self-critical, or talking about how stressed they feel? What is the role of the employer or team manager? Always ensure you measure absence and have back to work interviews after every period of absence so you can monitor any potential issues; measuring and monitoring absence is the only way to effectively manage it. Discuss their workload and stress levels as part of a normal 121, so it becomes part of ‘normal’ conversation and not an awkward or difficult topic. Asking someone if they are ‘ok’ is an important part of any manager’s role, but you’re not a mental health expert, or a counsellor or a doctor. If you are able to talk to your team member, and they share that they are experiencing some issues, you can get support from your HR department, from a GP or OH practitioner, or a variety of charities such as MIND. Sometimes just listening to them, possibly changing their workload, or giving them time off, will sort the problem. However, if it is a longer-term issue, it’s important to get professional help. Look at what can be done in the workplace to support them, talk to them and if necessary get a medical report. There’s a lot of help out there, so do ask for it.